Guidance and legislation requires that Adult Safeguarding is effective and empowering so it is vital that people at risk of or suffering harm and abuse have as much control and choice as is possible, by establishing their preferred way forward, their preferred level of involvement and their preferred outcomes. This can be achieved by careful assessment of individuals at the outset and tailoring the pace of meetings, consultation and protection plans as guided by their express needs and individual circumstances. This process is deemed to be encompassed by adopting a ‘Making Safeguarding Personal’ (MSP) approach throughout the Safeguarding process. 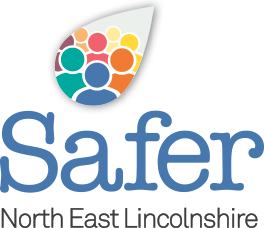 Making Safeguarding Personal (MSP) is about consulting with and having conversations with people about how services and agencies might respond in Safeguarding situations in a way that enhances involvement, choice and control as well as improving quality of life, wellbeing and safety. Adults should be seen as experts in their own lives and worked alongside, with the aim of enabling them to reach a better resolution for improving their circumstances and outcomes. It is about collecting information about the extent to which the actions and interventions have a positive and a desired impact on peoples’ lives. Accessible information, advice, support and good advocacy are essential components to MSP. Having access to information and advice assists those involved in making informed choices about care and support and helps them to weigh up the benefits and risks of different options. Information and advice can enable people to keep themselves safe in the first place. However should abuse occur, people need to know what options are open to them. It is also important in terms of understanding the safeguarding process and longer term support.